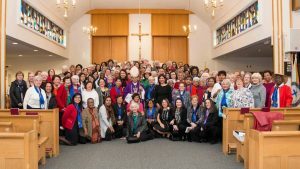 St. Joseph Highland Creek Parish Council (Toronto, Ontario) celebrated its 65th Anniversary with a well attended mass celebrated by Bishop Vincent Nguyen and concelebrated by Spiritual Advisor Fr. Oliver Iwuchukwu. 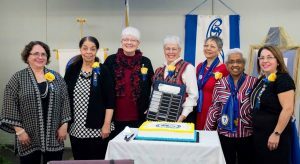 A luncheon and presentations of service pins, two maple leaf service pins, and the Betty Anne Browne Davidson Award of Honour followed.